Double Moon giveaway. Subscribe into our mailing list and win!! The winner will be drawn from our mailing list Monday 8th of April 2019. Winner will be announced by a newsletter and also at our Facebook site. Good Luck! Happy, noisy and successful New Year 2019!! 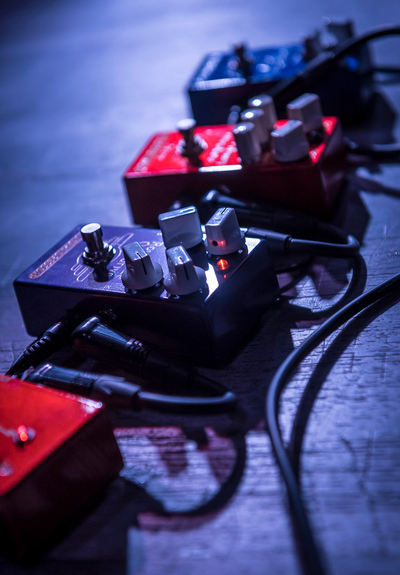 Enter and win the upcoming Loud´n Proud pedal + Evolution Orange Underdrive!! Click the link below and subscribe into Mad Professor mailing list. The winner will be drawn from our mailing list 1st of December 2018. Winner will be announced by a newsletter and also in our Facebook site. Good Luck! EDIT: Congrats Seppe Van Mellaerts from Belgium for winning the giveaway!! Our dear distributor in Sweden, These Go To 11, has a new shop location at Kocksgatan 17. Best of luck and congrats from the Mad Professor Team! We are very happy to have Uni-sound as our new dealer in Hong Kong. Please visit their wonderful shop! We are very happy to have Archambault (Montreal), Electric Mojo Guitars (Blainville) and Westcoast Guitars Vancouver Inc (Vancouver) as our new dealers in Canada. Go visit your nearest store! Giveaway!! Win the pedalboard Matt Schofield used on his Finnish tour! Sign here to our newsletter and you are in a draw for a handbuilt board full of Mad Professor effects and Pedaltrain Nano board plus Spark power. Winner will be announced March 7th. Mad Professor artist Andy Susemihl will release a new album called Elevation in January 2018. Mad Professor rocking Throw The Goat band will release a new album titled "The Joke's On Us" at January 26th, 2018 on Regurgitation Records. It is already availabe for pre-order! Mad Professor artists Erja Lyytinen, Alan Nimmo and Laurenence Jones are listed on musicradar "The 17 best blues guitarists in the world right now" list.